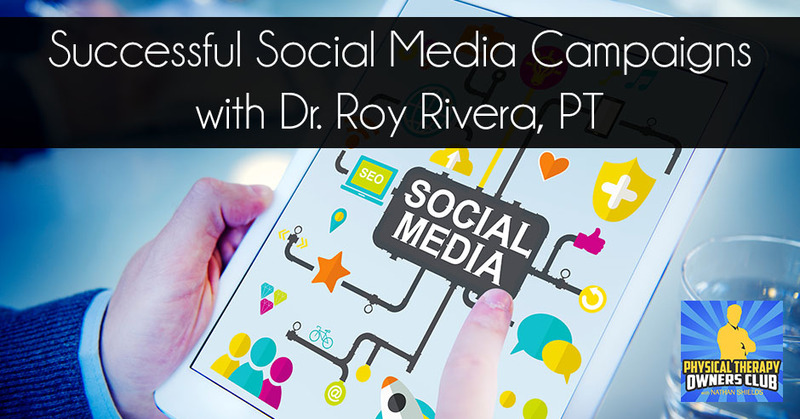 Owner of Crom Rehabilitation, Dr. Roy Rivera, Jr., PT, PhD, DPT, MCHES isn’t a social media expert. 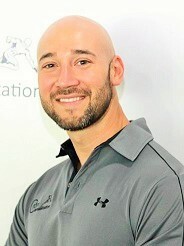 However, he has leveraged social media and his clinic’s specialization to become the number one result on Google and Yelp for “Houston Physical Therapy.” Considering how huge Houston is and adding that to the fact that Roy has only been in practice for four years, this feat is undeniably amazing. Roy tells us how he did it. Contrary to what you might expect, it isn’t difficult. He shares the ways he generated positive reviews while talking about the importance of getting clarity on your growth strategy. Roy takes us into his own journey from quitting a job to securing financing to build his next clinic. My guest is Dr. Roy Rivera out of Houston, Texas. He owns Crom Rehab and Physical Therapy and has so for several years now. He reached out to me via email and we went back and forth about ownership. He shared some of his successful actions. I thought some of his stuff was unique enough that I want to bring it on to an episode. To give you a short bio on Roy, he’s a Licensed Physical Therapist. He has been practicing for a few years since 2005. He’s worked in various healthcare settings, long-term acute care hospitals, skilled nursing facilities, inpatient rehab, outpatient ortho and sports medicine clinics. Outside of practicing physical therapy, he’s also a faculty member at Cross Country Education and has provided continuing education conferences and seminars for PTs, OTs, speech, chiros, psychologists, physicians, etc., with topics that include rehabilitative research methods, ethics, and professional responsibility. He’s also a Faculty Honorarium at Hardin-Simmons University where he has lectured on ethical principles and policy issues in healthcare. He started consulting as an expert witness in trials involving physical therapy care. His past affiliations at TIRR Memorial Hermann Hospital, Texas Children’s Hospital, Children’s Memorial Hermann Hospital and Texas Medical Center have allowed him the opportunity to work alongside some of Houston’s most reputable pediatric and adult orthopedic surgeons. He’s unique in that he has years of experience treating individuals across the lifespan with orthopedic and neurological conditions. His broad scope of knowledge and human gross motor development from birth to older ages enabled him to be a more effective well-rounded physician. He has a whole-body cross-training approach to his personal wellness and this also holds true as professional treatment approaches. We’re going to talk about his story as it relates to starting off in hospital care and then jumping into outpatient orthopedic clinic ownership and some of the things he stumbled upon and intentionally worked on to improve the growth of his company. He’s got some great insight. I hope you get a lot from it. I’ve got Roy Rivera of Crom Rehab out of Houston, Texas joining me. First of all, thanks for joining me, Roy. It’s not a problem. I’m happy to be here. Roy was somebody who reached out to me via email. After going back and forth a couple of times on email, Roy was able to share with me what’s been successful for him in the last few years as he’s developed his practice. I wanted to bring him on to share that with the audience. There might even be a couple of other topics that will be useful for our audience. In order to get to that point, Roy, do you mind sharing this with us your story? What got you to where you are now? I graduated back in ‘05 with my Master’s. It was at the time when the tDPT still was in its infancy because the year after I graduated, the tDPT was introduced. I said, “I can’t get behind on this.” At the time, it was Boston University and Rocky Mountain in Provo were the only two or one of the first that were doing it. I jumped on board with the Rocky Mountain program. I got my Transitional DPT. I was a little crazy and jumped right into my PhD. I thought I wanted to be a researcher. I love to lecture. I love to teach and I’ve had a short history of doing that. I have done that. I think of that as setting myself up for the future. The end goals would be to set up a few practices and a few clinics and I don’t want to say fade into the shadows but retreat to the university and lecture. Lecturing and research is your passion. That’s what I like to do. A lot of that surprisingly carries into everyday clinical practice, which is good. It has helped us be successful. I went into working for one of the largest hospital systems here in Houston. I was with them for about maybe ten to twelve years or in that range. I did everything from ortho trauma to outpatient to ortho trauma in the kid’s hospital. PD Ortho Trauma was my last rotation in that big hospital system. This is exactly what happened. I went through my educational process while I was working at the hospital. It got to a point where I sat down with my superior. He literally said, “You have reached the end of the road here.” He said, “You have done everything that you can do here. You’ve reached your max level of PT that you can reach. Your salary is capped. You’re at the top.” I’m sitting there thinking, “I’m 32 and you’re telling me that life’s over.” I said, “I’ve always had this itch to go and do my own thing.” I have known people that have had private practices, but I’ve never dug into it. Not having a business background, it was very intimidating. I literally made a decision one night. I sat there. The next week, I pulled my 401(k) and cashed it in. I opened up Crom Rehab in November of 2014. For your supervisor to give you that gift is cool. He obviously saw something in you that wasn’t getting fully realized. A strength, a capacity to do more and to sit down and probably at the detriment of his department. He never wants to lose a physical therapist that’s awesome and great and all that stuff. To give that gift to you and say, “You’ve reached the top of the line here. You need to go off and pursue some dream or do something more.” Do you see it like that now that you’re looking back at it? It was a blessing in disguise. It was my home. You get to know people for years and years. You get comfortable. I’m not going to lie. I miss working 7 to 3 Monday through Friday. You get a different schedule when you own it. I’m not going to lie about that. I do miss that. Other than that, I wouldn’t change anything. What I have now is amazing. It’s an awesome thing. Social Media: The beauty of modern technology is you can reach out to people and then you can be a little more in the front of their mind. Now, you have the one clinic which is about 2,200 square feet. Do you have other providers with you and whatnot? That’s a funny question because we have in the past had other PTs in the practice. Part of my challenge is finding somebody who has the same mission and vision that I have. Trying to find a lifer and not somebody that’s using this as a one to two-year step to move on to somewhere else. That’s been my challenge. It’s myself and I have two PTAs. That’s been our model for the most part. We’re a small operation, but we’re making some big waves. You’ve been open since 2014 and I know you have plans to expand to your new clinic that you’re excited about. One of the reasons that I wanted to bring you on that you said in your email is that your growth isn’t the traditional pattern that I’m used to because I’m a little bit older when it comes to PT ownership and whatnot. Your growth has been more around using reviews specifically Google and Yelp? 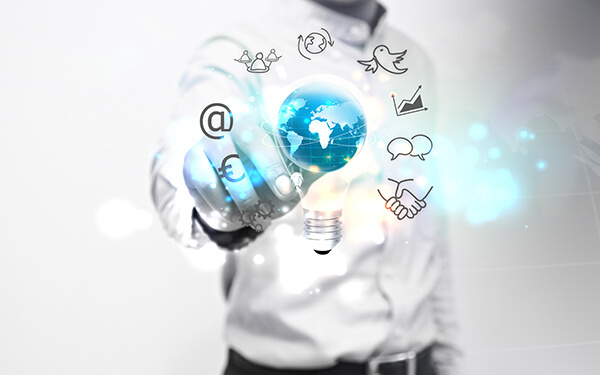 Our social media has played a big role in our success and in our growth. A lot of people these days and I don’t want to say Millennials but a lot of older people too, they’re catching on. They’re using services like Yelp. They’re using services like Google. The consumer is more educated in what they can and can’t do and what they’re willing to pay for. We’re having a lot of success using our reviews and having our patients put the word out there about the work we do, about the successes and about our outcomes. It’s brought us a lot of opportunities. You’ve been so successful at it that you don’t necessarily do a lot of physician marketing. I’m assuming that you have a few relationships out there. When it comes to your marketing strategy, that isn’t the core of it? That’s not the core of it. To be honest with you, I’m in the new facility. In the new facility, one of the positions that I budgeted for was a marketing manager. To have somebody that manages your Yelp page, that manages your Google page and manages your Instagram account and all that stuff is for us critical. A smaller component of that is the face-to-face physician referral model that’s probably going to be about 25% of what we do. I presented it as Google and Yelp solely, but you’re using some of those other social media platforms. What other social media platforms are you using and how often are you posting? We post on Facebook. We post on Instagram. I try to do at least one post a week is my goal. A lot of the reason that people come back or are attracted to us is the culture that we have in our building and our facility. They’ll post links to articles on ACL repair and new trends in ACL repair and new trends in this, new trends in that, which you we know is great. That’s awesome. Some consumers want to see that and they love it. Consumers also love to see Dr. Roy at lunch goofing off. It sounds silly to say, but they like to see a personal side to the facility and not think of it as such a white-coat place. That is the attraction. That’s what draw people in. Break it down for me a little bit, how do you ask your patients to leave a review for you? I’m sure it’s become second nature for you now. Describe for other people, how would you talk to somebody about asking for a review? Once the patient goes to their discharge session on their final day, we give them their little parting gift. We get everybody a nice coffee mug with our logo on it. I personally sit down with every single patient who discharges. It’s something I make time out to do even if I’m in an eval or if I’m doing something, I’ll say, “Give me one quick second, I’ll be right back. I’ve got to say bye to somebody.” I’ll talk to the patient. I’ll say, “It was great having you here. I hope we met all your expectations. We’re not a giant hospital system. I don’t have a lot of money to market like a lot of the bigger systems do, but if you could get on Yelp or get on Google and say something nice about your experience here, it would mean a lot to us.” I’ll follow-up with an email from my work email. For me, it’s not system generated. I’ll include the links to our Yelp and our Google pages. All the patient has to do is click on it, write their review and they’re done. They also have that element of they can contact me whenever they need to. It’s that personal touch accessibility that they love that. That’s priceless. It’s funny we’re talking about it, a lot of our current patients or current clientele are repeaters. We’re going through a phase right now where we’re having a ton of repeat patients. I said, “What’s going on?” Shouldn’t that be the goal? You go back to the same PCP. Have you broken down the numbers? Have you figured out what your percentage of repeat patients are versus new referrals? Social Media: If you generate enough positive reviews, then you rise to the top without having to pay for anything. We have all that in our EMR. I haven’t broken the numbers down and looked at it. We do track that. We do have that in our EMR. You’ll find as you continue to grow, you’re four years into it. As I got more established, it ended up becoming like 60% of my patients were repeat patients because we built a solid relationship with them or their family members. They were coming back. It was almost disconcerting. I’m like, “I’m putting a ton of effort in marketing physicians but 60% repeats. The beauty of modern technology is exactly like you said, “You can reach out to them now.” Not necessarily via mail but now through emails and through social media platforms. They start following you. You can be in front of mind a little bit more often and take advantage of those repeat customers over the years. You’re establishing that now. You’re seeing the fruits of it. You’ll eventually get those people. You get ten, twelve years into it. I’m probably talking for a few guys out there as well that have been around for a while. They got people who come back ten years later, they’re like, “Tell me about your kids. Remember my kid? They were ten. Now they’re twenty. They’re in college.” Showing me pictures and they’ll remember aspects of your life that you’re like, “How do you know that?” They talk to you like they haven’t missed a beat. Kudos to you for developing that relationship that’s great. As we were talking, you’ve been able to specialize some of your marketing down. You’ve gained some real success and traction with that. Would you mind telling us about that? As I was telling you earlier in the emails, we’re sports medicine orthopedics. Our practice is very general. There are a lot of us out there. There is a lot of sports medicine. I know a lot of ortho places. We’re thinking about market segments. Are there any populations that we are leaving out or that we could serve a little bit better? We were approached by a local community hospital. It’s not a big one. It’s a local community hospital that they have a grant through the Ryan White Foundation. It’s for patients with HIV, who have orthopedic needs like everybody else. They said, “We’ve contacted a lot of hospital systems. We’ve asked people to take this contract. It’s a direct network contract. We get paid directly by this community hospital through the grant.” I’m such a small guy that I said, “I’ll look at the contract. I’ll work this with you.” I sat down, I looked at it, the number of referrals that I got from this community hospital and it’s going to be patients that have HIV that they had a knee replacement or they have tennis elbow. It’s nothing that you would think that would be gravely acute or anything. It’s outpatient ortho needs. As we started seeing more and more of this population, I said, “Where do these patients go for their rehab? Where do patients particularly the LGBT community, where did they go for their healthcare and their health needs?” I started marketing to physicians and meeting physicians that they cater to the LGBT and the community. That’s what they do. They are PCPs for the LGBT community. As I started making these contexts and these networks, they saw my affiliation with the Ryan White Foundation. Our referral sources started a boom from there. We also have a local physician, she’s a PCP. She is also catering to the LGBT community but a little more specifically to patients who are in transition. It might sound silly. For patients to come in and appear as Michelle, they give you their ID, their insurance card and it says, Michael. For us not to make a big deal about it and for them to feel comfortable and create a safe environment and a safe culture for them, it’s made a huge difference for our numbers. We cater to a community. I told you that I didn’t want to say the word niche, but I have the thing against the word niche. We could call it or consider it. It is a niche. We have a local magazine here called OutSmart. It’s the biggest one in our area here in Houston that caters to the LGBT population. We took out an ad in OutSmart. That’s the only paper thing that I have out there floating around in terms of advertising. Other than that, our efforts into this community in our area is untapped. It has been a blessing for us to grow clinically. You’re such a great resource for the community. What people can get from this as the way you specialize is essentially the pattern that you used. You focused on a group. You started working within that group and marketing towards the physicians that serve that group. You have set up your culture such that it’s very accepting and very common through everybody that you serve that population so there’s a lot of comfort there. What people can take from that is, as you specialize you can focus everything you do onto that and double down on it. Whether you want to be the specialist for the youth soccer league or the baseball program, basketball program or CrossFit if you want to focus on CrossFit athletes and that stuff. You focus on not only the group and you learn their language and even accept part of their culture within your clinic, so they feel comfortable there. You’re also focusing on those doctors that are serving that community. That’s where I think you see the benefit of it. The pattern that you used can crossover to anything? It is a pattern that we use. We were so blessed to find that unique segment of the market that exists everywhere. I don’t know of any other clinics that do that or who claim to cater to that. It is Houston. We’re a giant city. We have a lot of variety here when it comes to health care. We have the largest medical center in the world. That’s the truth. I couldn’t believe it but we do. We have a large medical center in the world. There’s a lot to go around here. I can imagine establishing something like this in a smaller community, which could be a very successful thing. I want to point out that through your efforts with Google, Yelp and how you’ve set yourself up with social media, but you told me that you’re top of the list when it comes to people Googling for Houston physical therapy? That’s my one bragging right. When you get on Yelp, look up in the whole city of Houston, type in PT or rehab physical therapy and we generate at the very top of the list. We’re number one in cities when it comes to physical therapy. That is what has shot us up to the top and helped us to gain a lot of patients that we wouldn’t have had otherwise because their physicians tell them, “Go here. Go there,” the way the pattern is. They do their own research and they say, “These guys are number one, what’s going on?” They read the reviews and the rest is history. I’ve had a lot of people ask me, “How much do you pay to be number one?” I’ve had a lot of people ask me that. I say, “We pay zero dollars. I pay nothing to Yelp. I pay nothing to Google.” Zero dollars there for that marketing. What you do is, if you generate enough reviews and they have to be positive reviews, then you rise to the top without having to pay for anything. It’s been an awesome experience. 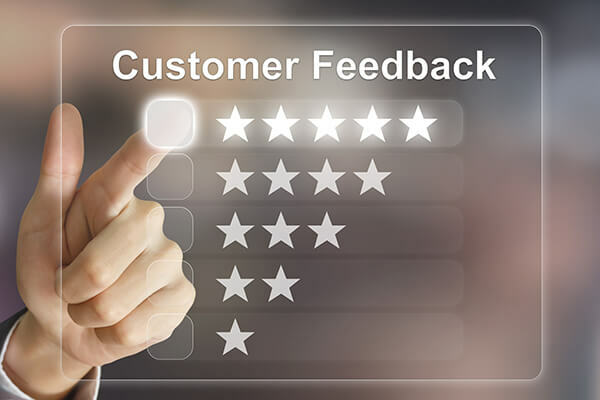 Have you spent quite a bit of money on your website as well to make sure that follows up and looks as good as your reviews? 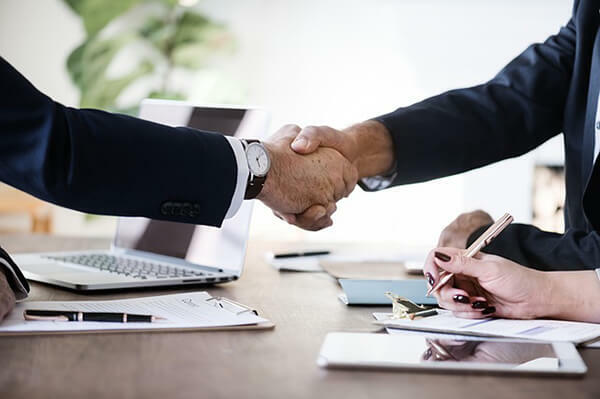 Social Media: If you approach a bank or a lender with an idea, you need to approach them with something you can hand them, something that is proof that you’re as invested as they are going to be. The website, I did it myself. I didn’t hire anybody to do that website. I used a platform online. I used Wix online. I did it myself. I promise in the next facility that I’m going to hire a professional to do it. That broke my assumption. For some reason, I had the idea that your website is probably great and top of the line and thinking you have to follow up your number one setting on Google and Yelp with a beautiful website. You smash that all to pieces. I can’t assume that. I tap dance. I scrub toilets. I do the website. I’m at that point now where we’re growing. I’ve got to allocate people and services to do these things so that we can grow. That’s where we’re at. You can’t do everything forever. You’re getting to that stage where you’re recognizing that. I’m glad you see that. You’re going to have to make a lot more Roy Riveras in your company to make this successful. Tell us a little bit about your growth. I know you’re going to open up a new facility. You said it’s been a project for sure that’s been over a year. You’ve got an SBA loan. Is there something that you can share with us, maybe a little bit about your story? Maybe some of the advice that you’d give to people who are looking to build their own facility and get financing through SBA that stuff? I went through a Goldman Sachs program. It’s a national program. It’s called 10,000 Small Businesses. Their whole goal is to take small business owners and to take them through literally a crash course in an MBA. It’s for a semester. It’s completely paid for 100%. You pay absolutely nothing. You become a Goldman Sachs alum. I said, “Why not?” I know Jack about numbers. When I started and if you asked me, “Let me see your balance sheet.” I’m like, “What’s that?” I had no clue. I had no idea what I was doing. I did this Goldman Sachs program. The whole purpose of it is to develop a growth plan. That’s the whole purpose of the Goldman Sachs program. Rule number one, if you approach a bank or a lender with an idea, that’s all they hear all day, they hear ideas. You need to approach them with something you can hand them, something you can give them, something that is proof that you’re as invested as they are going to be. I came up with my growth plan. I presented them with my growth plan. We went into negotiations from there. The bank wanted to fund. They said what about this SBA process. I started the SBA process, which it’s a lengthy application process, I’m not going to lie. At the end of the day, I said, “They took everything from me but my blood,” but then I was wrong because then they did take my blood. I had to take a blood test for life insurance. They go the mile. At the end of the day, it’s an awesome interest rate. I got the money that I needed to open up my new facility. I broke ground. We started building. It’s an exciting time right now. We’re going to be doubling in size. I’m already interviewing for positions because I’m not going to be able to run this show by myself. Any advice to other owners that might be looking to do something like that? Definitely look into the SBA as an option. Don’t settle for any regular bank or regular lender. There are a lot of government monies out there, especially if you’re in the minority. I know there are special monies for minorities and for female owners as well. There’s a lot of stuff out there that’s not just banks. Do your research on the type of loans and be prepared to come to them with something tangible. They want to see numbers. They want to see growth. They want to see projections. That was the first thing they asked me, “Do you have your projections?” I had to come up with my five-year projections. I did that as well. You’ve got to be prepared. Come with your stuff not just ideas. You had the benefit of a Goldman Sachs program. I’m sure people can find programs like that to help them build business plans and growth strategies online. You’ve got to bring something tangible. You have to bring something tangible because there’s nothing to run by everybody. It’s a group decision when they make those loan decisions. They all sit down and they run it by each other. There’s a system that they have. I know a lot of local colleges, their business schools will do things like that. They’ll have these resources for people. You might want to check one of your local universities, their business schools to see if they have those resources available to small business owners. The Goldman Sachs program is a national program. You can apply from literally anywhere. I’m not trying to plug. I’d highly encourage it. It took me to the next level. It helped put my ideas onto paper and that helped me get to my next level. You gained some clarity in having some structure like they provided you. It helps you get clearer from what it seems like. As you went through that education, were there any books that they recommended or are there any business books that you highly recommend yourself that you’ve come across? They have their own curriculum that they’ve written. All of their curricula is their trademark. They didn’t take us outside of their curriculum and what they were doing. I now started to get into this whole reading about business, reading about marketing and listening to your podcast which I love. This is all very new for me, this growth and the business aspect. I did an episode on books. I’ve got some recommendations for you as well, so anytime you’re ready for the next book, you let me know. If people wanted to see what you’re up to, maybe see your homemade website or follow you on Instagram or something like that, what’s your address? How would people get in touch with you? It’s the name of our clinic. It’s CromRehab.com and all of our links are there too. Our Yelp page, our Instagram page or Facebook page, everything is on there, our bios and everything that we do is all on our website. What’s the next big project for you? Is it all in on this new building or you’ve got other things you’re working on? We’re working on the building. Once this building is done up and running, I’m already thinking right now about expansion beyond this one building that there’s going to be our flagship as I’ve been calling it. Watch out, Houston. We’re coming for you, Houston. I wish you the best. It’s great having you. I love the insight that you’ve provided. The way you’ve used modern technology or social media, whatever you want to call it to grow and progress like you are and specialize. You’ve had some great experience over the last four years. I can only see you’re improving after that. Good luck with everything. Roy, thanks for being on. Dr. Rivera is a licensed physical therapist and has been practicing in the Greater Houston area since 2005. He has worked in various health care settings including acute and long-term acute care hospitals, skilled nursing facilities, inpatient rehabilitation hospitals, and outpatient orthopedic and sports medicine clinics. In addition to practicing physical therapy, Dr. Rivera was also a faculty member at Cross Country Education and provided national continuing education conferences and seminars for physical, occupational, and speech therapists, chiropractors, psychologists, physicians, nurses, and special education teachers on topics that included rehabilitative research methods, ethics and professional responsibility, and therapeutic modalities. He was also Faculty Honorarium at Hardin-Simmons University where he lectured on Ethical Principles and Policy Issues in Health Care. More recently, he has started consulting as an expert witness in trials involving physical therapy care. Dr. Rivera’s clinical interests and specialties include management of orthopedic conditions and return-to-sport in adolescents and return-to-work in young adults. His past affiliations at TIRR Memorial Hermann Hospital, Texas Children’s Hospital, and Children’s Memorial Hermann Hospital in the Texas Medical Center have allowed him the opportunity to work alongside some of Houston’s most reputable pediatric and adult orthopedic surgeons. Dr. Rivera’s clinical strengths and areas of expertise include treating musculoskeletal disorders and conditions of the extremities. Dr. Rivera is unique in that he has years of experience treating individuals across the lifespan, from infant to geriatric populations, with orthopedic and neurologic conditions as well. His broad scope of knowledge in human gross motor development from birth to older age has enabled him to be a more effective, well-rounded clinician. His treatment philosophy is exercised-based, and he is a strong advocate of promoting independence of functional maintenance. In his spare time outside of work, Dr. Rivera dedicates himself to athletics and understands the demands that sports and other physical activities have on the human body. He routinely participates in cardiovascular and resistive strength training and also plays competitive men’s league tennis. He has a whole body, cross-training approach to his personal wellness and this also holds true for his professional treatment approaches.